Sacred Hearts Academy​ is saddened with the news of the sudden and unexpected passing of Andrea Cummings Hamilton, '68, on Friday, July 21st, 2017. Aloha attire suggested. Light refreshments to follow. The family will be holding a private scattering of ashes at a later date. 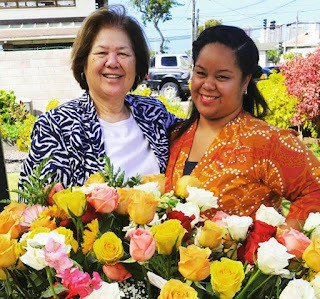 We share our sincerest condolences, love and aloha with her daughter, Makena, '10, and the entire Cummings & Hamilton 'Ohana.